Dither: [dihth -er]. A state of flustered excitement or fear. Enough, already! 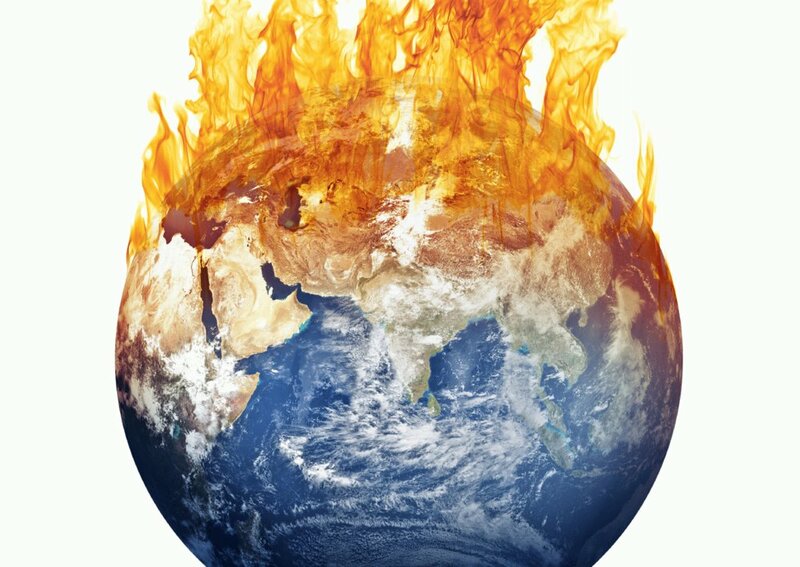 Climate change (or, by its less palatable at a cocktail party name, “global warming”) is worthy of our fear because the planet is cooking itself into a stew. However, the time is long past to “dither” about whether or not it is real. Climatologists from both ends of the political spectrum (as if science is supposed to be political, but what isn’t these days) agree that temperatures are rising, the heat wave is here, and it isn’t going to abate anytime soon. Anecdotal evidence has been around for quite some time. Eureka, California used to be known for foggy summer mornings, with highs in the 60s and a pretty good cup of clam chowder to take the chill away. Now, numbers in the 80s are not uncommon…in October. In 1960, Seattle averaged one day a year with temps of 90 or higher. Back then, Seattle residents experienced 8″ of snow a year. In the last ten years, there has been an average of six 90+ degree days a year, and there have been 10″ of snow…in the last nine years. Enough! The science is no longer in question. Scientific data collected by climate researchers indicates that 2018 was the fourth warmest climate year since record-keeping began nearly 150 years ago. That makes 2015-2018 the hottest years in recorded history, and it isn’t close. Rising temperatures will impact more than just our own species. What, or who is to blame? Michael Jackson said it best. “The man in the mirror.” Industrialization and the igniting of fossil fuels release gases, in particular, CO2, into the air. These gases restrict heat from leaving the atmosphere. That’s how a greenhouse keeps the plants warm. It’s also what’s cooking Mother Earth. In the U.S., rising temperatures bring about more extreme weather events than ever before. These include killing droughts, heat waves, and severe flood-inducing rainstorms. Using data derived from Vox Media, Gildshire put together a list of cities that are already under climate strain from warming temperatures. These numbers tell us that the midwest should be pounding the drums for action on the matter. Here are the Top Ten cities that are most-impacted today by the rigors imposed by the planet’s inability to cool itself down. The comparisons are from 1968, and the projections are to 2050, just 31 years in the future. 5.5 degrees warmer in the summer. 4.8 degrees warmer in the winter. In 2050 temperatures will be up an additional 4.7 degrees in the winter and 5.4 degrees in the summer. 4.1 degrees warmer in the winter. In 2050 temperatures will be up an additional 4.7 degrees in the winter and 5.5 degrees in the summer. 4.4 degrees warmer in the winter. In 2050 the temperatures will be up an additional 5.5 degrees, both winter and summer. 5.6 degrees warmer in the summer. 3.9 degrees warmer in the winter. In 2050 the temperatures will be up an additional 3.9 degrees in the winter, and 5.6 degrees in the winter. 5.2 degrees warmer in the winter. In 2050 the temperatures will be up an additional 5.2 degrees in the winter, and 5.6 degrees in the summer. 4.5 degrees warmer in the winter. In 2050 the temperatures will be up 4.5 degrees in the winter, and 5.7 degrees in the summer. 5.8 degrees warmer in the winter. In 2050 the temperatures will be up an additional 5.7 degrees in the summer and 5.8 degrees in the winter. 5.7 degrees warmer in the summer. 6.8 degrees warmer in the winter. In 2050 the temperatures will be up an additional 5.8 degrees in the summer and 5.7 degrees in the winter. 5.8 degrees warmer in the summer. 4.9 degrees warmer in the winter. In 2050 the temperatures will be up an additional 5.0 degrees in the winter and 5.8 degrees in the summer. 5.3 degrees warmer in the winter. In 2050 the temperatures will be up an additional 5.4 degrees in the winter, and 6.0 degrees in the summer.